Strathburn Cattle Station long has had a big reputation among pig hunters as an extraordinary wilderness experience. For starters, it�s right in the middle of Cape York, with a 50km driveway to the homesteads. And it�s a huge 50km by 50km in size, with a river splitting it into north and south. STRATHBURN SAFARIS now is operating at full-throttle again. For a fee, you and your crew can enjoy fully-guided hunting access to Strathburn, with accommodation and all meals at one of the homesteads. Strathburn features literally hundreds of kilometres of river beds and creeks, and countless permanent and temporary waterholes and swamps, many of them rarely visited. Near the peak of "The Dry" at present, we typically are seeing 100-150 pigs per day, and the odd decent-sized barra is being caught. Strathburn has been in the safari business for almost a quarter of a century. Look to the left, and check out recent upbeat Expert Reviews of Strathburn Safaris by several of Australia's most-popular hunting magazines. We�d work hard to help you and your crew have a great trip. Sorry no dogs - rifles and bowhunting only. For further information, or to secure your preferred week between June and November, email strathburnstation@gmail.com and receive a prompt reply. Our accommodation is comfortable but not flash, including country-style meals, a bed, shower and toilet, and a roof over your head after lazy evenings yarning under stars as bright as you've ever seen. BYO booze, hat and camera. 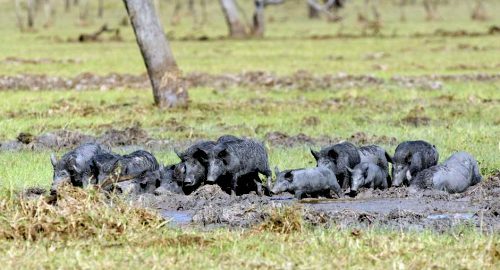 Beyond chasing pigs, you�ll get to enjoy the heart of Cape York — the wilderness, the wetlands and the wildlife. For those keen for some fishing, there are various holes containing Barramundi and Saratoga. 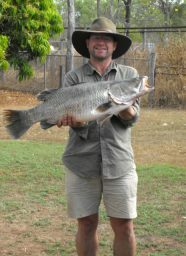 It's always a bit of pot luck, but in July we jagged an 88cm barra then an 86cm beauty up river a week later. Since then, we�ve landed three more over 85cm but still nothing over the magic 100cm. There are birds aplenty (see section on birds), and many places that rarely, if ever, have seen bootprints. Maybe you'll be the first to photograph the exotic Yellow-bellied glider on Strathburn (look right), well north of its previously documented ranges. 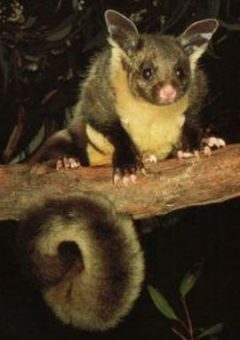 We�re hopeful on the Yellow-bellied gliders because CSIRO reckons it recently caught one on audio at night. 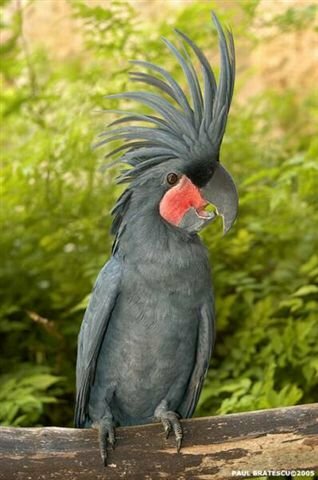 Just as our Palm cockatoos are way south of the "just the Tip" ranges published in bird books in the 1970s, our gliders too may just have been quietly doing their thing without being noticed. It's easier to get to the centre of Cape York - and the main roads are much better - than you might think. First, pretend you are going to Port Douglas and fly to Cairns. Then, instead, either jump on the mail plane (Thursdays only) or rent a 4WD and drive to Mareeba. Mareeba is about 40 minutes over the range from Cairns. Then, it's about two hours to Laura, then two hours to Musgrave Roadhouse, then two hours to Strathburn. 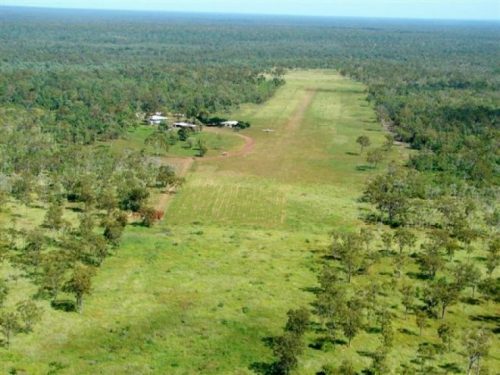 For those who prefer to fly in, there�s a mail plane from Cairns on Thursdays and an excellent 800m all-weather airstrip alongside the homestead. Seats on the mail plane are limited so you must book early. Ditto 4WD rentals and Strathburn itself.